Consul General Dr. Sun Dali held a reception at his Residency on January 20th 2017 to celebrate Chinese New Year. 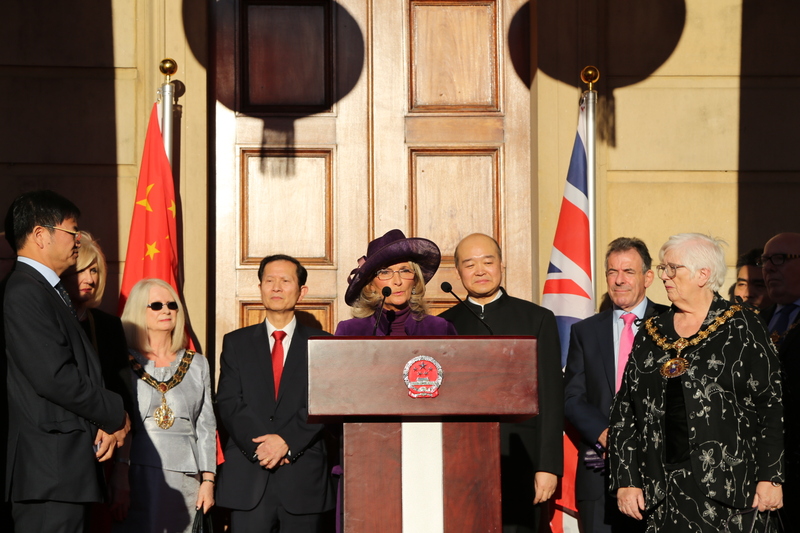 Vice Lord Lieutenant of Greater Manchester Mrs. Edith Conn, Derbyshire Council Leader Anne Western, Lord Mayor of York Dave Taylor, Lord Mayor of Manchester Carl Austin-Behan, Mayors of 7 Greater Manchester Metropolitan Boroughs joined with local Chinese community, local Chinese companies, Chinese students in the Consular area to celebrate the occasion together. Dr. Sun wished all guests happy and prosperous in the year of the Rooster on behalf of the Consulate General in Manchester. He stated in his address that in the year of 2016, under the leadership of the CPC with President Xi Jinping at the core, China made new progresses in social and economic development as well as reform and opening up. Chinese people, with an increasing sense of gain, are much happier than ever before. During last year, the construction of 'Belt and Road' picked up its pace, Asian Infrastructure Investment Bank kept attracting new members, the G20 Summit meeting held in China led reforms on world economic management. The Chinese dream not just embodies Chinese people's expectations for a better life, but also demonstrates that China shoulders up international responsibility with both vision and action. He said the year of 2016 marked the beginning of the 'golden era'of China-UK relations, in which we actively delivered on the consensus reached during President Xi Jinping's visit to the UK and the meeting between President Xi and Prime Minister May during G20 Summit by intensifying substantial cooperation and expanding cultural and people-to-people exchange. The north of England is closer with China with a more extensive cooperation and richer mutual benefits. 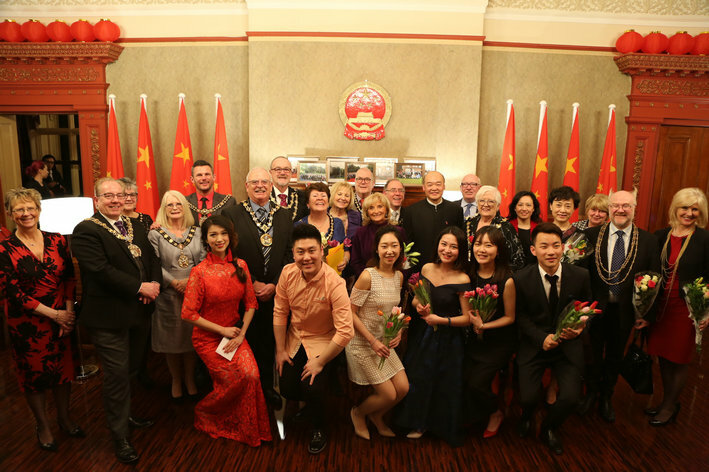 We would like to take this opportunity to say thank-you to local Chinese companies, Chinese students, Chinese communities and friends from all walks of life who have contributed to promoting China-UK friendly cooperation. 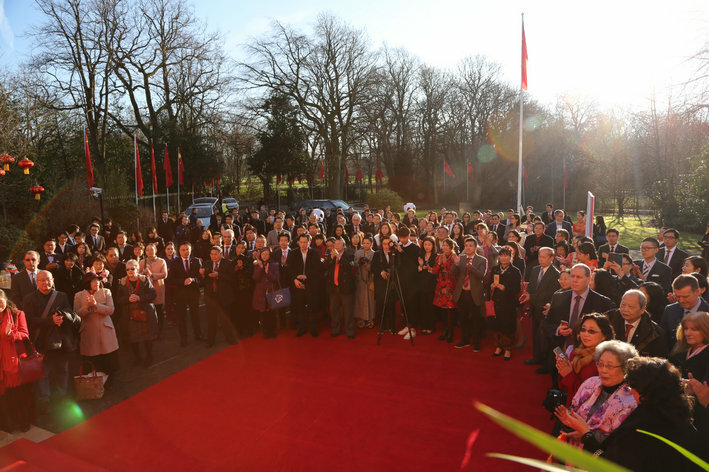 The year 2017 celebrates the 45th anniversary of China-UK diplomatic relationship. China is willing to work jointly with the UK to deepen and expand mutual relations for the benefit of both peoples. 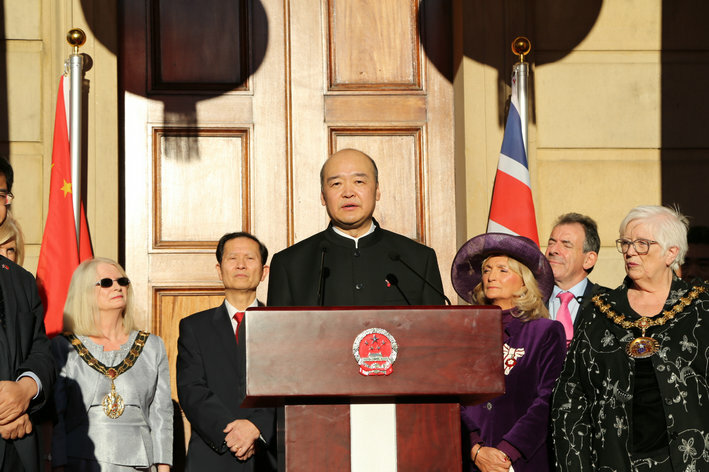 Vice Lord Lieutenant Mrs. Conn, Chinese community leader, the representative of Chinese companies in the North of England and the representative of Chinese students also addressed the occasion.